Why Choose CSJ Dog Food? You are here: Home > About CSJ > Why Choose CSJ? CSJ is now the choice of some of the most successful dog handlers throughout the UK and overseas. Why? Using only top quality, natural ingredients, the extensive range of CSJ has been developed to meet the specific needs of dogs of all ages - from conception right through to 'retirement'. Little waste - No smell! By working closely with many well-known breeders, competitors, trainers, large kennel owners and show-bench exhibitors – as well as behavioural trainers, CSJ products are continuously monitored and developed. One owner writes " ... I am delighted with the results. 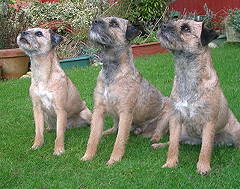 The dogs' general health is now excellent and shows in their alertness, bright eyes and gleaming coats." By striving to be the best we ensure CSJ continues to play a major role in the development of future champions. 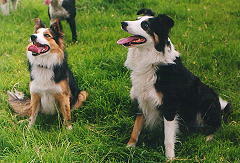 Please go to our testimonials page to see what our customers think of CSJ dog food. Ever since having my Pointer X at 10 weeks old He has always had very loose stools, I have tried different puppy foods, all of them good makes, without solving this problem. He was thin and always hungry because I think he wasn’t getting any good nutrition as everything was going straight through him. He was forever scavenging! I found CSJ website as I was trying to find a food that worked. Nicki at CSJ was very helpful and sent me some samples, I found one that worked and anyone who has a puppy with loose stools will know it was such a relief to get log poos! They don’t spend on fancy packaging or advertising but I think sell via recommendations. I am so glad I found them and won’t be changing. “CSJ Dog food has made a huge difference to my dogs (and I am being very honest here).